We recently welcomed Benjamin Johnson into the studio from The Free Store, Wellington. I have to say that weekly we (as B-Side Stories hosts) are regularly inspired by our guests, but both Mike and I left the studio on Tuesday evening absolutely buzzing from talking to Benjamin. I have since excitedly told everybody I’ve come into contact with today – all about The Free Store and how it works, and how easy it is to volunteer. 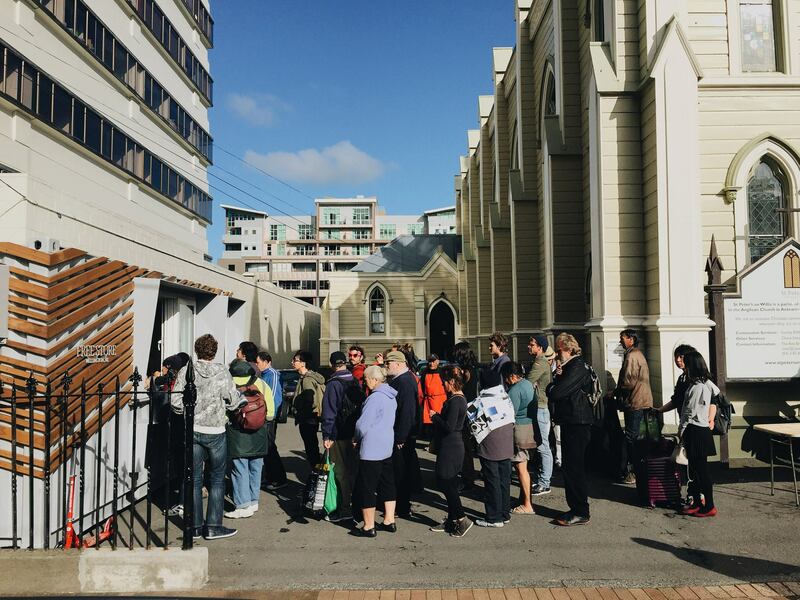 What was most compelling was Benjamin’s statements on community ownership of the project and his view of how these small acts of generosity, be it time, money, surpluss food, or skills – they all help create better communities, which in turn create a better New Zealand. If you’re not hooked on listening to the interview already, checkout what Benjamin had to say below. This entry was posted in Charity, Enterprise, Food, Social & Civic and tagged the free store, Wellington by lauriestarfish. Bookmark the permalink.